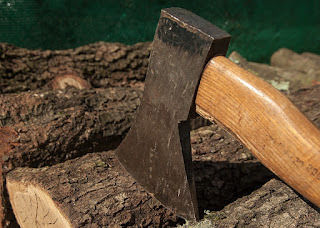 Since it's the first letter of my name, too, figured it was a good time for me o talk about a topic in fiction - changing a story, or given the topic, chopping out stuff, if you will... heh-heh. Nothing is harder than re-reading, editing, and rewriting, especially a story you wrote a little while before. 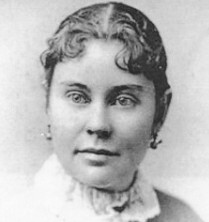 I've been going over the text of Lizzie Borden, Zombie Hunter, which will be coming out in a new 2nd edition - with an amazing (horrorific!) new cover. When you re-read a story, you can't help but think of the good points, but it's also some of the things people didn't like that you think about. Now that doesn't mean you change everything. I made that mistake once - never again. Never listen to someone else tell you how to write your story. But given that it's two years since I wrote the book, as I reread the story, I did find things to change. There were some clunky sentences, some unnecessary ones, and some things I just didn't like. And certain things will remain the same. You can't please everyone. Not everyone will read things as you do, or even write it the same. I didn't want to change the story as is, only update it. As I read, I realized there was the perfect point where John was being annoying - and she should say something. So she does. It made perfect sense for her to put him in his place. And later, instead of having him just go away, I made sure she told him not to let the door hit him on the way out. Which was rather satisfying, I might add! I leaned toward a Victorian-style cover, I really did, but... the book is not sweet. Like the murders, it's gory, not pretty. In real life, this was a horrific event. Warning: Very Graphic - Look up the autopsy reports and the crime scene photos if you never have. Zombies are nasty creatures. So... the cover will be horror and very zombie. But also really cool!! Stay tuned for the reveals, links and more! !